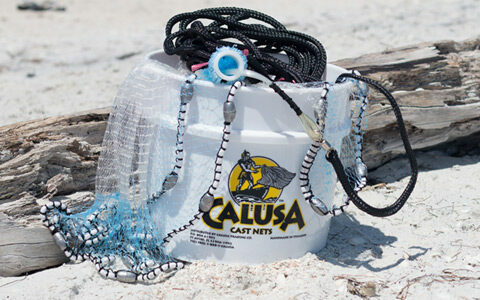 The Calusa Trading Company was born from the determination of two fishermen to design and make the highest quality cast nets available. Fishermen know what they are looking for in a quality cast net. We developed a cast net that laid flatter, sank faster and threw easier than any other cast net we had ever tried. 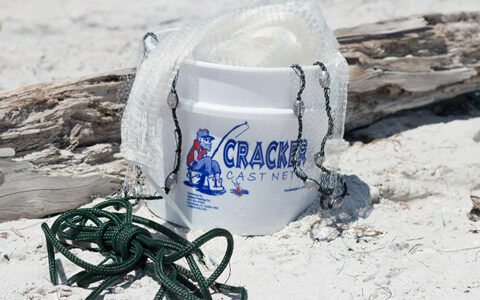 Our cast nets are made from the highest quality monofilament available. Our nets are hand sewn into six panels allowing for the cast net to lay flat. All of our nets are extra heavy; 1 1/2 lbs per foot (i.e. a 10′ cast net weighs 15 lbs). Our cast nets are tested in real conditions by real fishermen. No one wants to kill themselves getting bait because of a bad net. 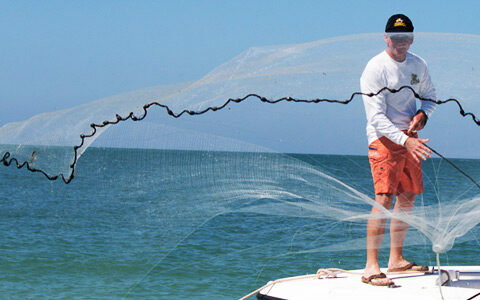 Our cast nets meet all the demands of professional fishing guides and serious fisherman. We are confident you will agree that our nets are better than any you’ve ever used.